Here at OnlyInYourState we do recommend chasing waterfalls, in addition to the lakes and the rivers you’re used to. 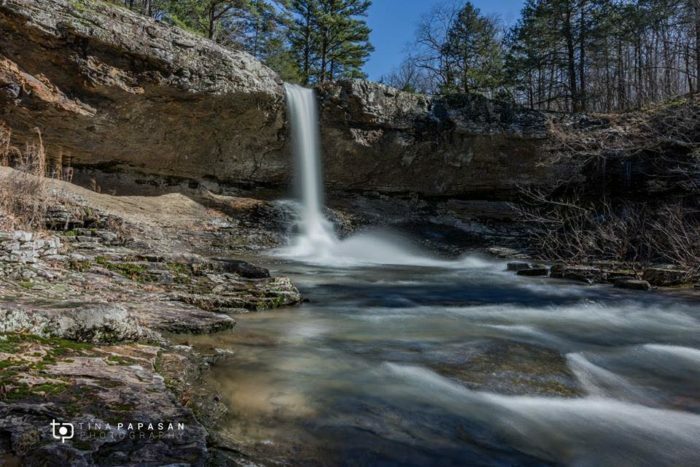 With the rains from last week and the upcoming stormy forecast, Arkansas’ waterfalls are flowing at full force. 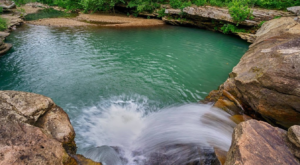 Don’t be afraid to make a splash and visit these picturesque falls during your next outdoor adventure. 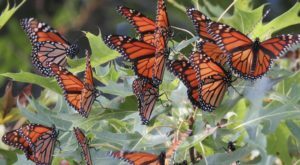 All the photos used in today’s article are from members of our Facebook group, Arkansas Nature Lovers. For more great pictures like these, or to add your own (and possible have your photos featured in our future articles) join us today! No matter if you're walking behind the falls or traversing to view it topside, Bridal Veil Falls is one our favorites. The super easy .4 mile jaunt is great for families. Be sure you don't miss the neighboring Cornelius Falls! Falls captured by Madonna Brown. 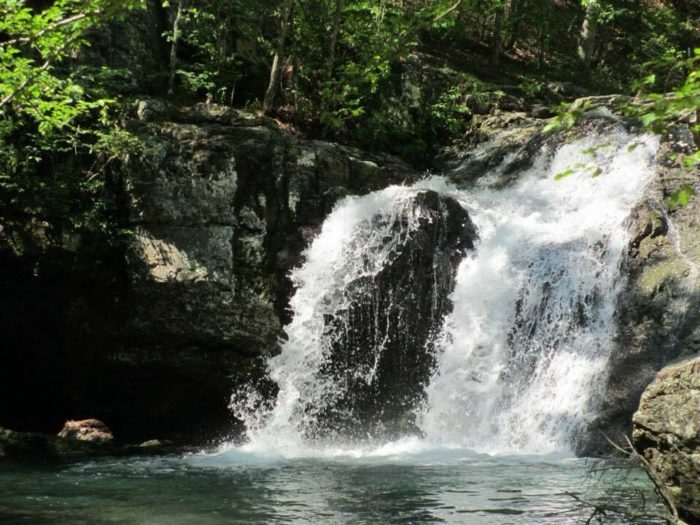 You'll come across Falls Creek Falls during your hike along the Falls Branch Trail at Lake Catherine State Park. The trail is a moderate 1.6 mile loop. 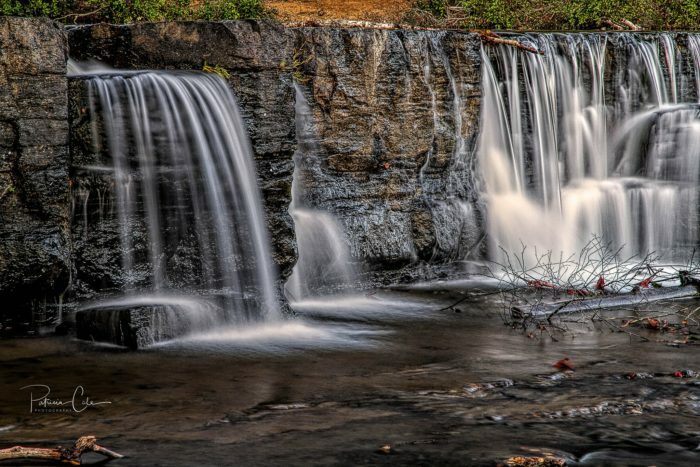 Waterfall captured by Linda Jenkins. You don't even need to leave the car if it's too soggy to hike around Natural Dam. The falls are immediately visible from Natural Dam Road off of Hwy. 59. You can enjoy a scenic lunch right next to the falls at the Natural Forest picnic site, weather permitting. Falls photographed by Patricia Borowicz Cale. 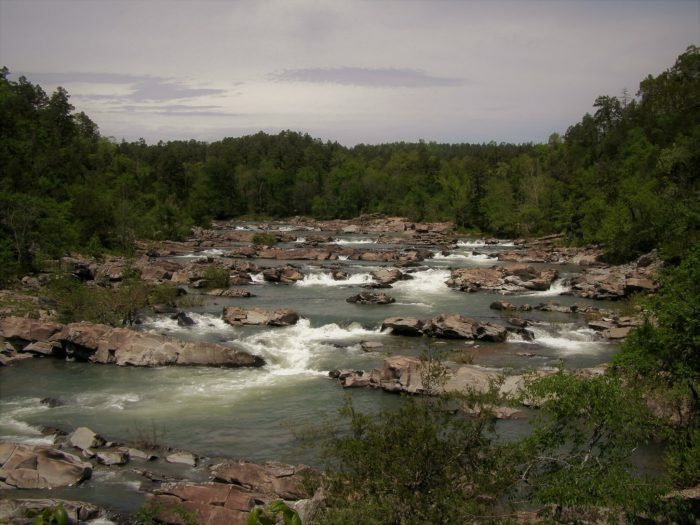 Enjoy the falls either by taking the Cossatot River Falls State Park Natural Area Trail or take them head on by kayaking the river. The 1 mile trail may be the easier route if you're looking for a good photo opportunity of the falls. Falls captured by Angie Steve Walker. 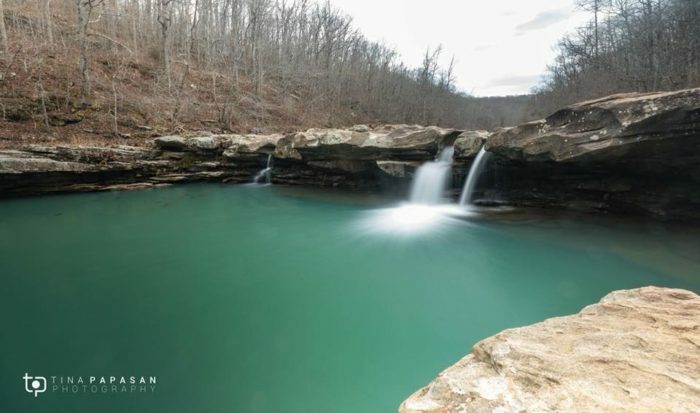 About 8 miles east of Cass, in the Mulberry region, lies the Bingham Hollow Falls. 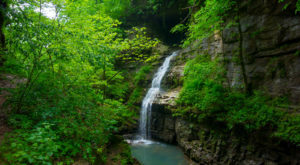 We recommend finding the path to the falls by reading the Arkansas waterfall bible, Waterfalls of Arkansas by Tim Ernst. Falls captured by Tina Rhine Papasan. 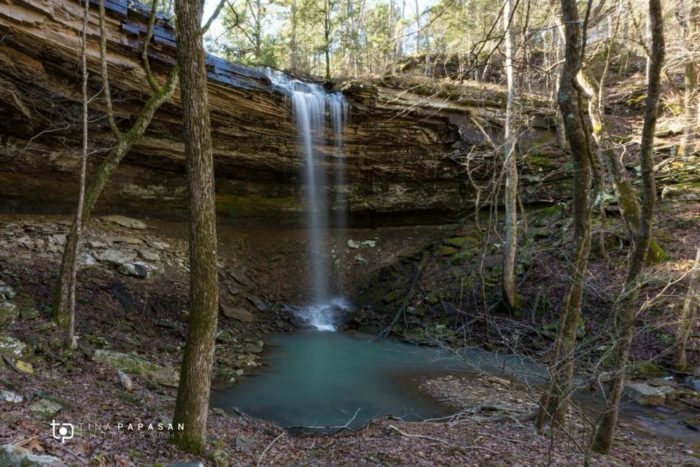 This gorgeous waterfall is about 12 miles southeast of Cass. From the ATV trail on Barnes Road, it's an easy 1.5 mile round trip to the falls. The whole area is teeming with falls, just do your research before heading out. Photographed by Tina Rhine Papasan. 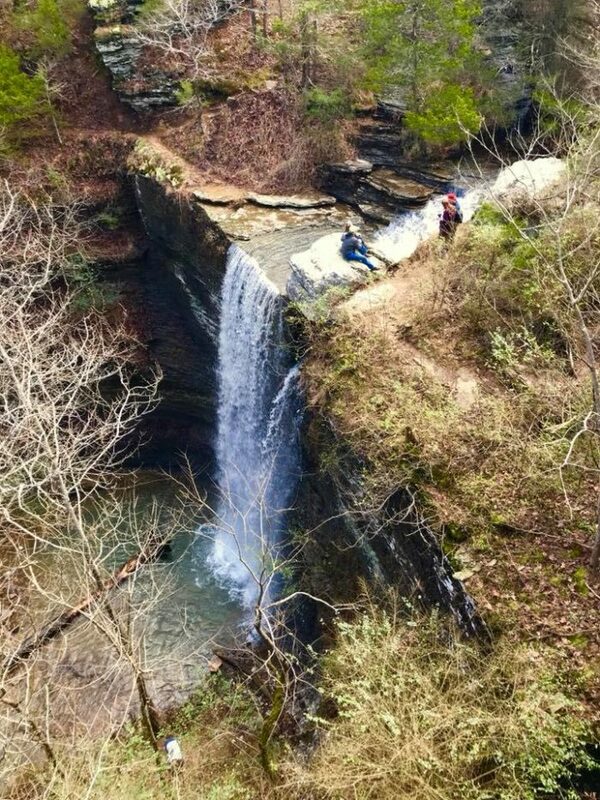 You need to be a true Arkansas adventurer to reach the Sixty Foot Falls. But if you don't mind bushwhacking and elevation changes, then the falls are a wonderful reward. 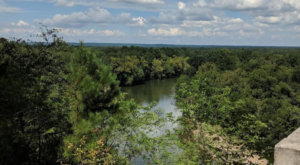 The Sixty Foot Falls Trail is about 10 miles northeast of Cass. If you're less than enthused about waterfall hunting around Cass, take to the Kings River Falls Trail for an easy (but no less picturesque) hike. The 1.8 mile trail is great for all skill levels and four-legged best friends. 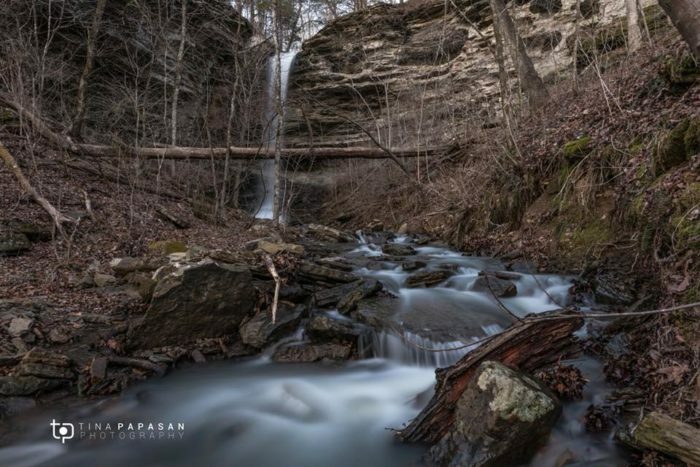 Photographed by beloved waterfall fanatic, Tina Rhine Papasan. 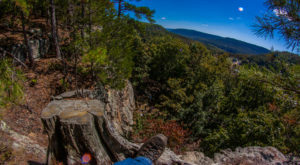 Huge shout out to our Arkansas Nature Lovers! Be cool like today’s featured photographers and join our group today! 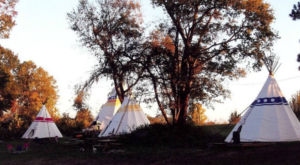 If you want to do more than just a photo tour, do your research before tackling a trail! Tim Ernst’s books should be on every Arkansas outdoor enthusiast’s shelf. 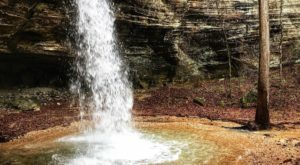 AllTrails and Rick’s Hiking Blog are also great tools to use to find these more elusive falls. 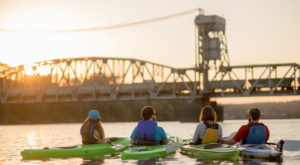 If you’re hungry from all that hiking, then you should eat at Arkansas’ favorite riverfront restaurant.